Update: I owe a lot to the tutorial linked to here. It helped a great deal in getting the hind leg working properly. It’s nearly done! 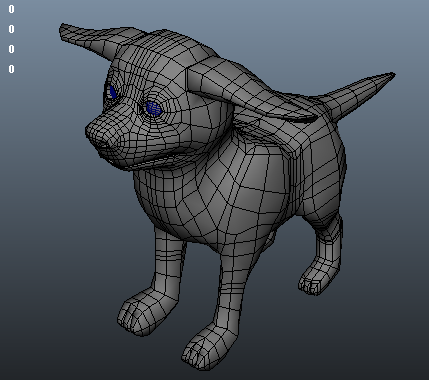 The rig I’ve been working on for the puppy model is only lacking some blend shapes to give it facial expressions. 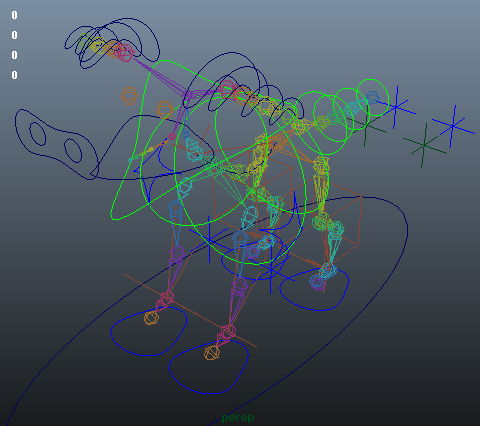 Everything else, including the pain in the backside hind legs, is working properly.